With the attendance of this Website you accept the respectively valid conditions of use without restriction. If you do not agree with these regulations to the full extent, we ask you to leave this Website. This Website as well as the contents of this Website (inclusive possible down loads, not however excluding all texts and pictures) are as per copyright mental property of the Grapos GmbH or third persons. If contrary is not noted, all rights are reserved. Without previous written agreement of the Grapos GmbH no data on the Website, in particular no texts, pictures or sound, may be multiplied, released to the public or used in other way. All parts of the Website are intended for private use of the final user or in the case of explicit release. Any change on the Website published contents is strictly forbidden. Each content, which represent a mark, a Logo or other characteristic, are beyond a registered or not registered mark of the Grapos GmbH or from third, whose use without authorization is forbidden. Data, which you send to us, in order to receive customer information (e.g. brochures or catalogs), we will record and store. This makes it for us possible to answer your inquiries. We also reserve it us to register if you read on our Website information or download of our Website files. We are also permitted to register in case of reading on our Website or in case of any download. This also allows us to supply you with custom-made information. Also we can determine in such a way, how our information offers are frequented on our Website. We do not sell the personal data, which we received and stored from you. We assure that we will treat your data according to the valid data security-legal regulations. You agree with the storage and processing of your data for the purpose of your individual support, for marketing and market study purposes, as well as with the passing them to, if necessary assigned to these tasks, service-provider and to the Grapos GmbH. In case of information desiring, the desire for deletion, barrier or rectification of your data, as well as with contradiction against the data use you are asked to turn to the Grapos PostmixSirup Vertriebs GmbH. Your consent in relation to this can be recalled at the same place at any time. The information on this Website is made after best knowledge and comes of sources, which are considered reliable. We are not responsible for the accuracy of the information on these Website or for their completeness and Fairness, and there why no requirements can be deduced. Contents of this Website can be changed at any time, and will be opened for the public in current form at any time without any warranty. You agree that you will use this Website at your own risk. We exclude liability for disadvantages, as far as legal, which results directly or indirectly of the use of the Website and the use of the contained information. This Website can contain links to other Websites. 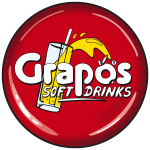 The Grapos GmbH does not take any responsibility for contents and the use of such Websites or the information contained in it. The Grapos GmbH is not responsible against anybody for disadvantages, caused by the use of such Websites. The responsibility for the protection of your systems against viruses, “worms”, “Trojan horses” or other dangerous sequences for your systems is on you. You have to care about your own system by using a appropriate protection programs. The Grapos GmbH reserves itself the right to change these conditions at any time. The current, in each case valid version is binding. As legal venue the essentially responsible court in Graz is considered. The Austrian law is considered. All our indicated prices are in EURO, net, without VAT, without forwarding charges, ex works Lannach. We ONLY sell our goods to the trade and not to consumers according to the private customer protective law. (KSchG).